The rooms at our Murti tourist resort are spacious, comfy and are assembled with modern amenities to maintain luxury living of our guests. Enjoy the delicious mouth-watering food of our hotel and the excellent room service. We assure a wonderful stay at our hotel in Murti Dooars as we always want you to make your stay with us an everlasting one. 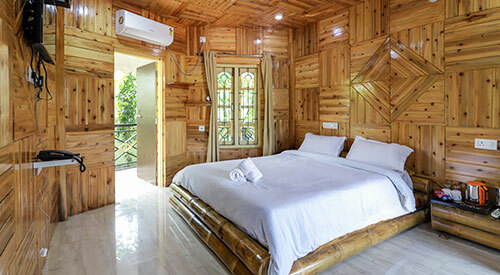 Spacious living cabins for refreshed stays. Avail every standard and luxury facility in here. 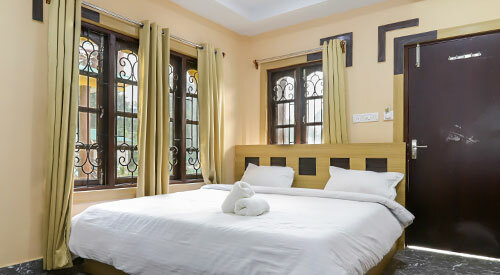 Pocket-friendly stays for memorable vacations..
We understand the requirement of our guests hence we are determined to make your stay with us perfect in Murti, Dooars. We have 24-hour staff who arrange train, bus and flight tickets for you along with restaurant bookings and on-time car rentals. They also help you by recommending the best places of attractions around Dooars. My stay in Resort Trimurti was impeccable. Great place to stop by. Great facilities available. Food was the highlight. The rooms we stayed in were impressive. Clean and hygienic bathrooms. I would recommend staying here to have a good time. The location instantly puts you in a holiday mood. Such a relaxing place. I thoroughly enjoyed my stay here. Great staff. On time service throughout my stay. The scenic location is an added bonus. I am surely returning back for more trips here. © Resort Trimurti. All rights reserved 2019.